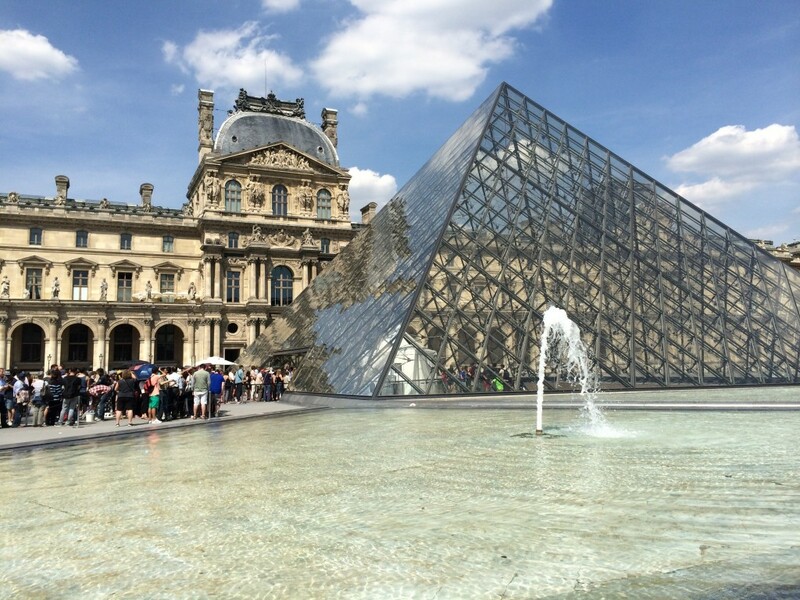 It’s hot in Paris this week. 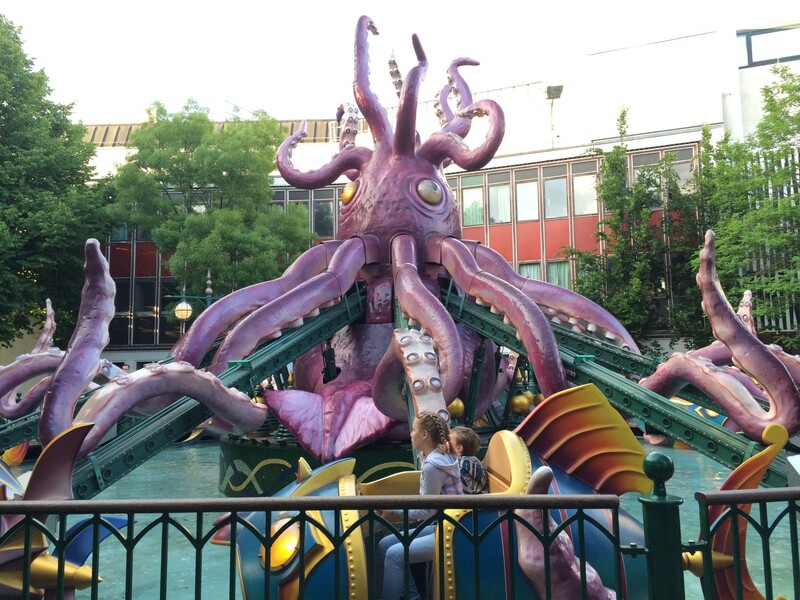 We will be retreating to air-conditioned spaces for the next several days. Does anyone have some good movie recommendations? 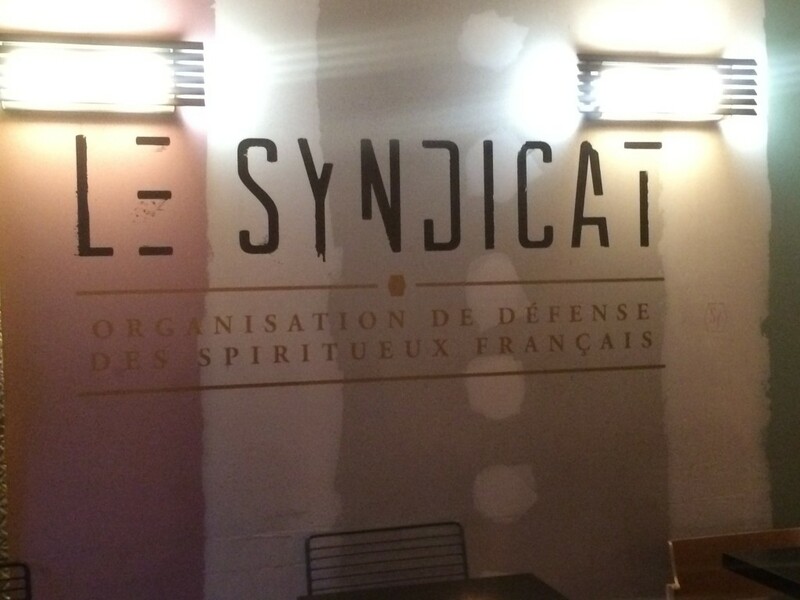 Le Syndicat is a bar making new cocktails from classic french ingredients. They are killing it; these drinks were the best so far. For you francaphobes out there, Framboise is french for ‘raspberry.’ We’ve been picnicking the last few nights to beat the heat (also we are cheap), and thought some fruity beer would be a nice accompaniment. 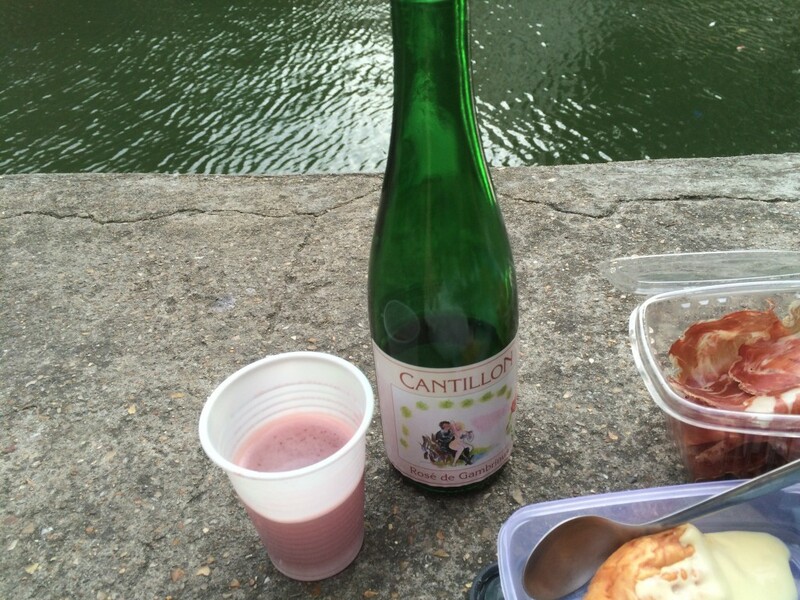 We tried Cantillon’s framboise by the canal, and Girardin’s at the OÜI FM festival. Cantillon Rose De Gambrinus. Sorry for the NSFW graphic. I don’t make the labels, I just drink the beers. No, it has nothing to do with simian anatomy. We’re talking breakfast in Paris. 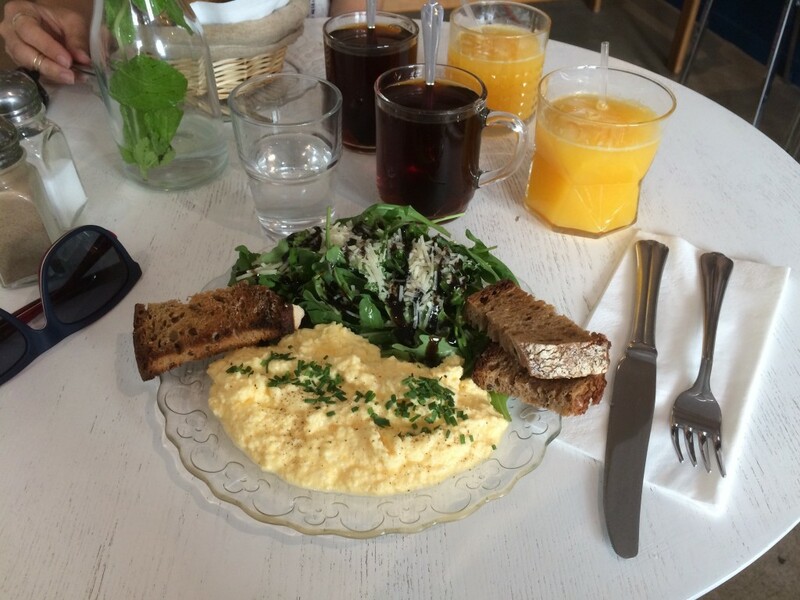 We stopped by Blackburn Coffee for some tasty treats – coffee, orange juice, eggs and salad for €12. 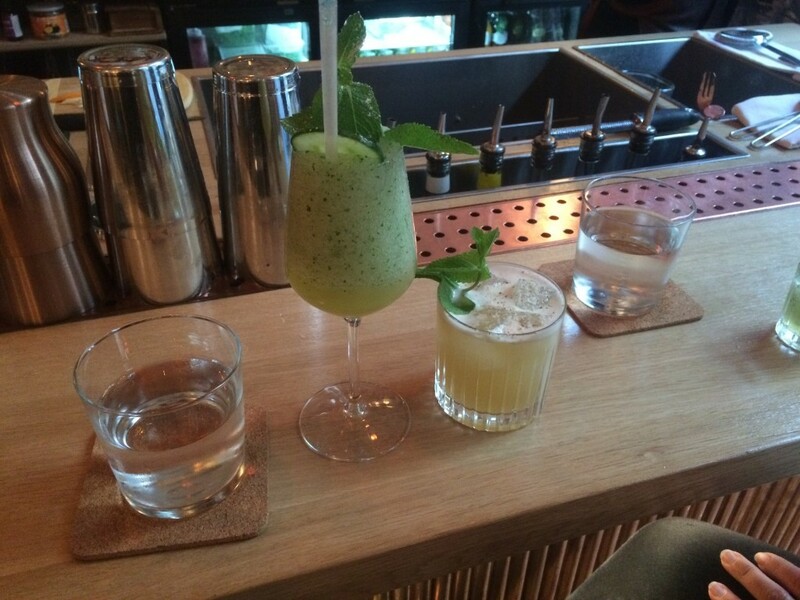 Our quest to cover the Paris cocktail scene continues with a visit to Le Mary Celeste. 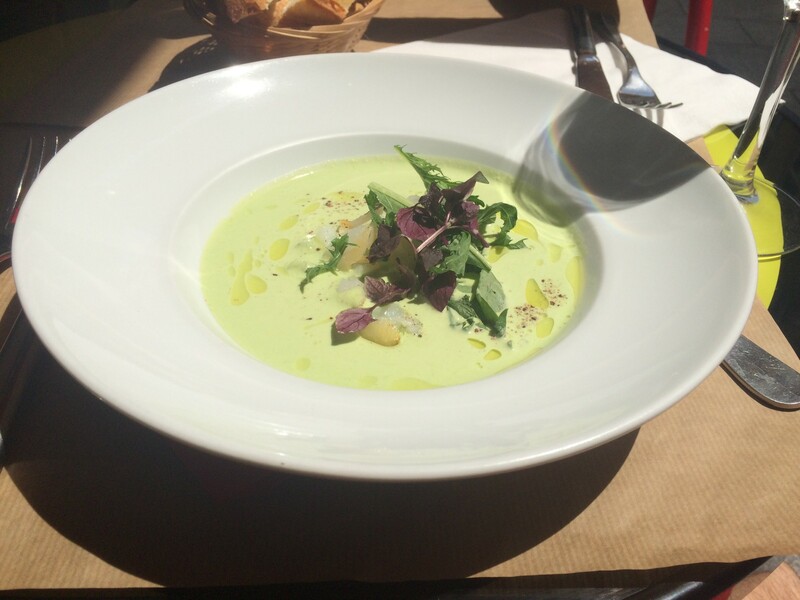 On a hot tip from our bartender at CopperBay, we headed to Chameleon for lunch. It felt like a bargain at €17 for app + main or main + desert (€21 if you want all three). I tried the gazpacho and pork fillet mignon. 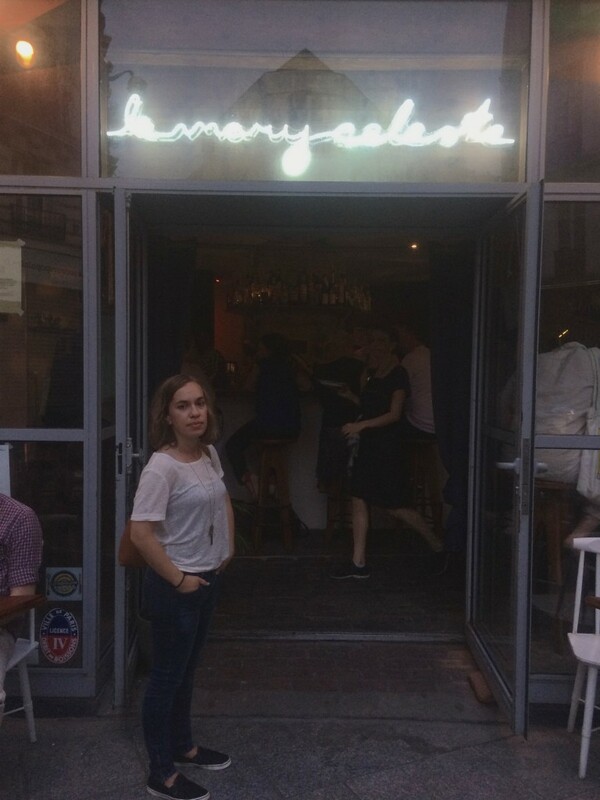 We stopped by CopperBay (cocktails €10-11) on our first night in Paris. It’s an excellent little cocktail bar off a side-street on the border between the 3rd and 10th arrondissements.